Dozens of migrants have barricaded themselves in a container ship in the Libyan port city of Misrata for the past five days after being picked up at sea, and refuse to disembark, saying Libya is too dangerous for them. Loaded with cars, the ship Nivin was already bound for Misrata when it picked up 93 migrants in a foundering raft in the Mediterranean Sea late on Friday and continued toward its destination. They have been in the Misrata port ever since, with the captain and crew taking refuge on the upper decks. 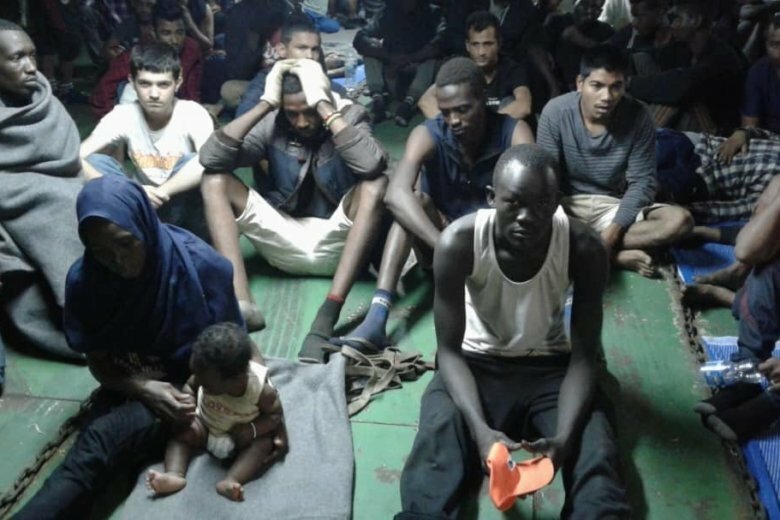 By late Wednesday, at least 77 remained on board after more than a dozen of the migrants agreed to leave with the Libyan coast guard for a nearby detention center — including a woman and her infant. The others refused, saying Libya was deadly for migrants and they wanted to go to Europe. One of the migrants, a man from South Sudan reached by The Associated Press on the ship, vowed on Wednesday to reach Europe or die trying. He said six commercial ships passed his group before the Nivin finally stopped. Libya’s coast guard had no immediate comment on the situation. The man, who identified himself only by his name, Victor, fearing for his safety, said he himself had already been imprisoned repeatedly in Libya and that his own brother had died there. He had no intention of returning, he said. Julien Raickman, who is the head of the Doctors Without Borders mission in Libya, said Europe’s policy of refusing to take in rescued migrants has led to a spike in deaths. Now one in five who cross perishes at sea, he said. Raickman said the Libyan coast guard has given international organizations access to the migrants, who have food and some degree of medical care now, but no toilets or other sanitary facilities. The ship’s cargo of cars was peacefully unloaded, but the migrants remained unmoved.